This was one of those holidays that sort of came out of nowhere. 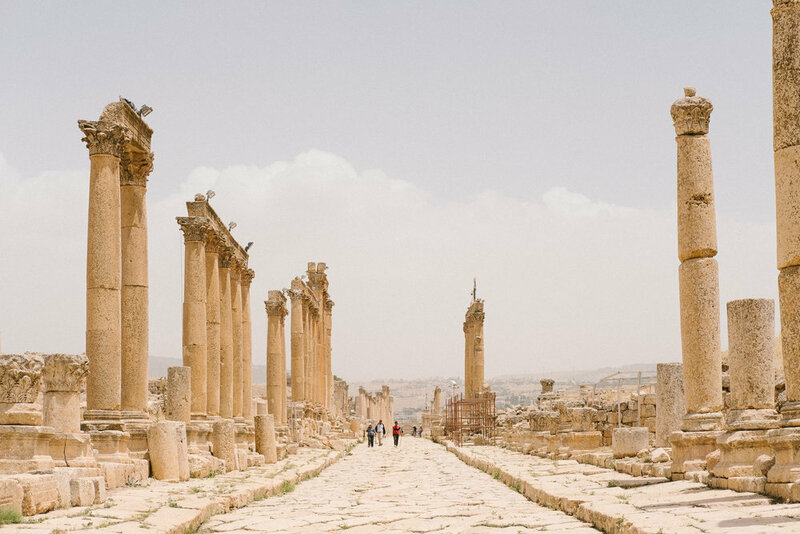 We originally planned something completely different, and somehow the word 'Petra' came into the mix, and before you knew it, we had a full tour of Jordan on the cards. I've been to Jordan itself many times on business, but I've always been working in or very near to Amman. I've never had time to visit the Dead Sea, which can be done if you're staying in the capital or Petra, which is over a three hour drive from Amman. I've been told a day trip is feasible but you wouldn't have time to do the city justice. 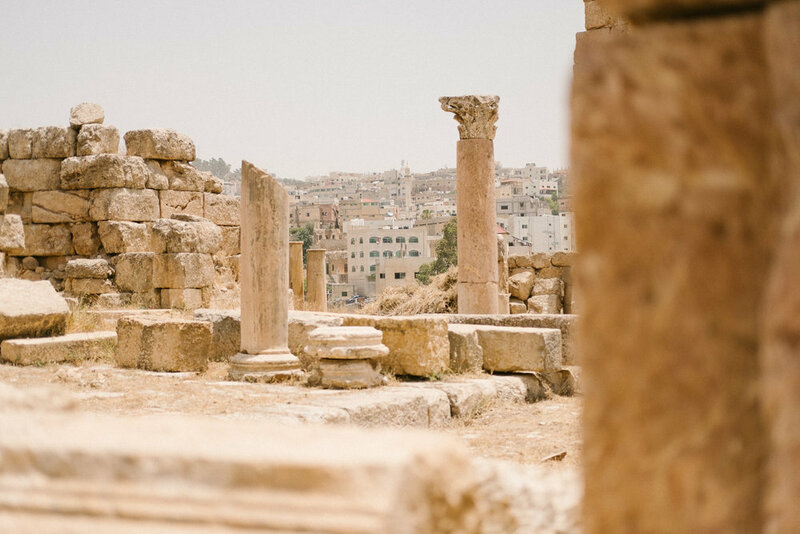 As there was a lot of planning required, and travelling between cities, we got in touch with Jordan Select Tours, who were fantastic in helping out with suggested itineraries, hotels and general travel advice. We simply told them the main places we'd like to visit, and they came up with the following plan. They also suggested other activities and stops as well, including spending the night in the desert at Wadi Rum. They provided a driver/guide for the whole week, and even met us air-side to help us with visas and getting through the airport. Fadi, our guide, was brilliant. He has been doing this for over 15 years, and his experience and insight was invaluable. From providing us with information on pretty much everything we drove to or past, to assisting us with pretty much anything we needed, he was an exemplary host. 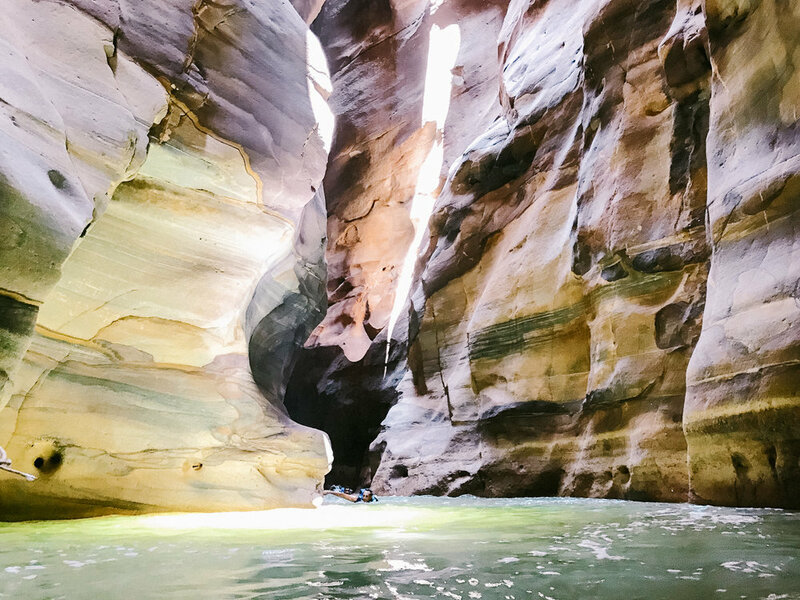 When we asked about balloon rides in Wadi Rum, which wasn't something we had initially planned, he got in touch with the local company and even secured the last two spots for a sunrise flight. We could not fault him, or the tour company as a whole. We would thoroughly recommend them! I can safely say that the whole holiday surpassed my expectations, and was one of the most memorable weeks I've ever had. Everything, from the hospitality of everyone we met, to the diversity of all the experiences we had, was something I'll never forget. I don't think there was anything I would have changed either, although we could have happily stayed at the resort on the Dead Sea for a little longer, but this has only provided us with the desire to come back for a long weekend, probably longer. It will be hard to resist re-visiting many of the same places again though! We landed in Amman late at night, and were promptly taken to our hotel in the city. It was weird to see so many recognisable sights out of the view from our room, as I've always travelled here for work. I had to keep reminding myself that I'm here for a holiday! Our first stop was something that wasn't on our suggested itinerary to the tour company, but they suggested a visit, as it's so close to Amman. Looking back, it would have been a shame to be to be so near to such a place without paying a visit. 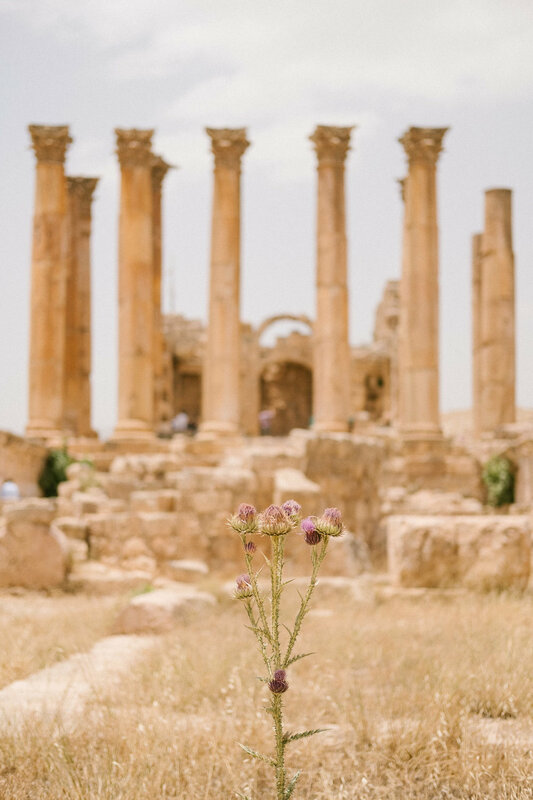 Jerash is only an hours drive from Amman, and is one of the best preserved Roman cities left in the world and dates back over 6500 years. This was a great introduction to the culture and history that we would be seeing so much over the next week in Jordan. We had a local guide who showed us around the main sites, and although I normally prefer exploring by myself, I really would recommend it. There's so much that you would be unaware of if there wasn't someone there to point it out. Even small details, like the remains of the tracks worn into the paved roads, created by the horses and carts. Of course, no visit to Jordan would be complete without a visit to the Dead Sea. I was told by others to keep an eye on the temperature gauge in the car as you descend to almost 500 meters below sea level, the lowest point of elevation on earth. When we left Amman, the temperature was around 25C. This shot up to 36C in less than an hours driving! We arrived in the afternoon, and after admiring and exploring the hotel for an hour or so, we were both itching to experience the Sea for ourselves. If you've experienced floating in the sea yourself, then I hope you'll agree that there is no way to fully explain the feeling to others. It just goes against everything you know about being in water. You literally just float! I wasn't expecting the water to feel the way it does too, it has a very oily consistency, due to the high salt and mineral content. After caking ourselves in the mud masks (literally all over! ), we washed it off in the sea. I'm not one for normally doing all these spa and beauty treatments back home, but your skin feels amazing afterwards! About a 20 minute drive from our hotel on the Dead Sea is the start of the Al Mujib Reserve, and one of the best adventure activities I've done in a long time. My girlfriend researched this particular activity, so I was a little in the dark as to what to expect. Upon reaching the visitor centre, you're advised to change into some clothes you don't mind getting wet. You're also advised to bring as little with you as possible, so no cameras. Our guide had a small waterproof bag which I could fit my phone inside, so the next few photos are taken on that. I wish I could have taken more photos, but to be honest this was one of those things where you're in the moment so much you forget about taking photos altogether. The walk through the canyon starts with the water barely ankle deep, then quickly deepens until you're swimming against the current, and at times, climbing up various waterfalls! The experience was absolutely incredible, and I can't recommend it enough. Just bring a change of clothes with you!! In the evening, we arrived at one of the most recognisable places in the world - Petra. We had a couple of hours to settle in at our hotel, and have a quick walk around the local area. But the main highlight was what was planned for the evening, seeing the Petra by Night show. After entering through the main visitors entrance, you start to walk the 1.2km trail to the main Treasury building (the famous scene from 'that movie'), solely lit by candlelight. It was a amazing experience, but I would definitely bring some sort of flash light with you, as atmospheric as the candles are, it's really dark in places. We had two full days in Petra, as we were advised you needed at least this to explore the site properly. 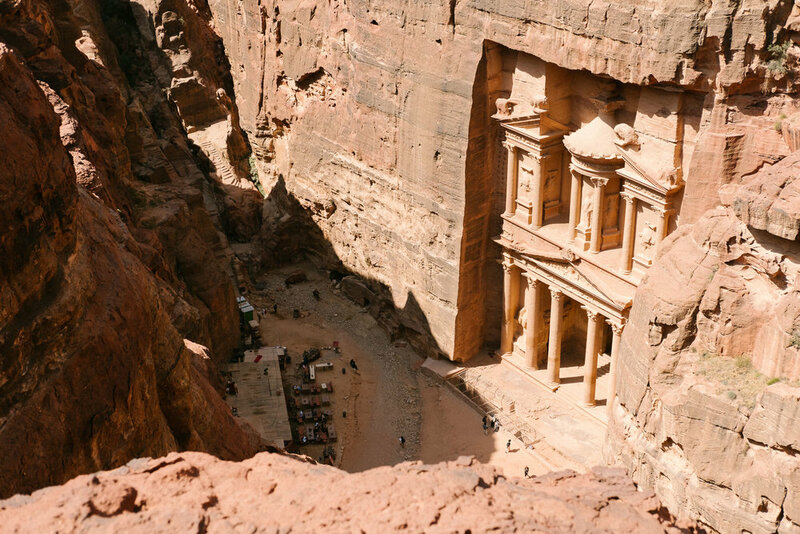 There's so much more to Petra than just the Treasury building, it really is a small city. Each day we walked the same path through the canyon into the city, which was a real eye opener after walking it in almost complete darkness the night before. We had a local guide show us around for a couple of hours on the first day. I'm not normally one for having a guide, but it was really interesting to learn about how they built the place, including building their own water system using the many wells in the region. There's also many things you would simply walk right past, without realising what it was thousands of years ago. Once we were on our own, we decided to walk the Ad-Deir (Monastery) trail. This 2.5km walk ascended over 800 steps from the valley floor, and provided some amazing views along the way. At the finish, was the monastery itself, a 50m high church carved into the rock face. Again, you just have to stand and admire how such a thing was built over two thousand years ago. 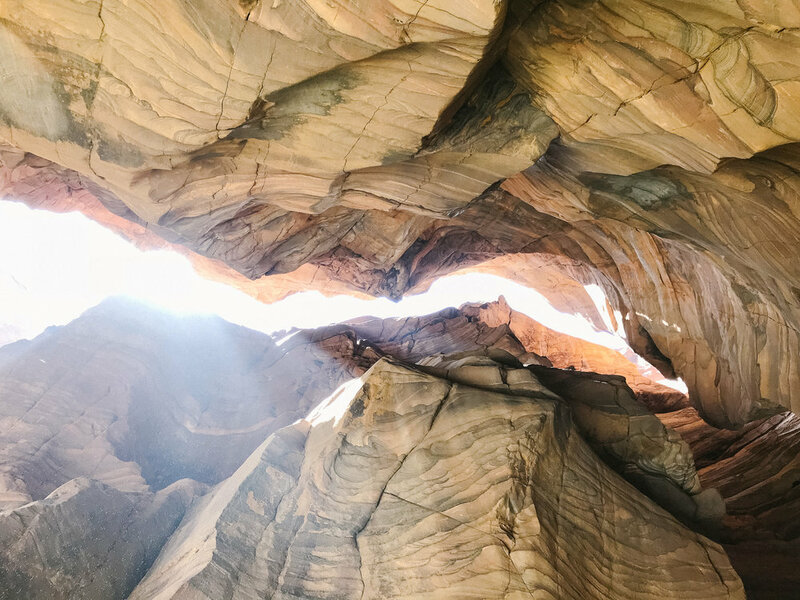 We spent the following day re-visiting some of our favourite areas, exploring some of the many tombs (there are some beautiful rock formations with amazing colours! ), and walking one main trail - Al Khubtha. This was my favourite walk in the city, as you initially pass a series of incredible buildings carved into the rock, before winding your way up to the top of the canon itself. The reward at the end of the trail as a breathtaking view back down to the Treasury. There are quite a few stray (or maybe even wild, not sure) dogs around Petra. We'll never forget one dog that just appeared out of nowhere when we started the trail. He was obviously much fitter than we were, and walked ahead - leading the way. But he waited for us at every stage, and even at one point, where it wasn't immediately obvious which way to go, he was waiting in the distance. Sure enough, that was the right way to go! We thanked him with a nice drink at the end of a long walk in the heat. The only slight downside to visiting the area is how far it is from the other sites you will inevitably visit when in Jordan, but I can safely say it's worth it. We arrived at our campsite in the early evening, and were shown to our 'tent'. We decided to spend a little extra to stay in one of the 'Martian' tents, essentially a fully contained dome providing panoramic views of the desert and night sky from your bed. This experience alone was worth the expense, and it's a memory I'll hold on to for a long time. In the evening, we had a 3 hour 4x4 tour in the desert. This was a great way to explore the local landscape, as well as learn about some of the local history. This ended with a spectacular view of the sunset. You quickly realise why so many films 'set on Mars' are filmed here, and we were even taken to the site where Matt Damon sat for the cover of The Martian. It's also eerily calm. No distant noise of passing cars, and at times, not even the wind. I don't think I've been to such a peaceful and tranquil place. 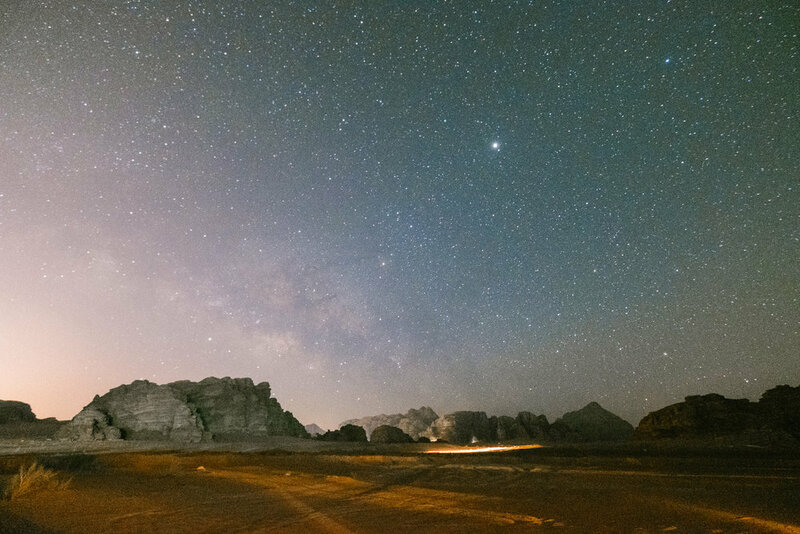 Shortly after finding out where we were staying in Wadi Rum, I researched the possiblilty of seeing the Milky Way. Being so far from any built up areas, and any light pollution, it's a great spot to witness the Milky Way passing over. I've never seen such a dark night sky, it was incredible. We used the 'Night Sky' app to track the location of the Milky Way itself, and stayed up late until it it was above the horizon. Unfortunately, shortly after the Mikly Way was visible, the moon also rose which shattered any chance of seeing any more, due to it being so bright in the sky. I count myself lucky that I was able to see as much as I did, all from the balcony of our own tent in the desert. Simply amazing. If things couldn't get any better than that, the next morning we had a real treat. We had heard about balloon flights that operate in the area, and we asked our guide about them. He told us that the only hot air balloon in Jordan flies in Wadi Rum, and it's usually booked very far in advance. A couple of days previously, he called up the company and asked about spaces on the only day we could no it. Sure enough, it was full, but we were the first two people on the waiting list in the event anyone cancels. During an amazing dinner at the camp, we got the call to inform us that two spaces had become available, and we were in! The only 'downside' is that after a very late night stargazing, we now had a very early start the next day. It was amazing to watch the balloon being 'assembled' and inflated. The crew were a well oiled machine, having done this many hundreds of times I guess. After a typically non-British health and safety brief, which lasted all of about 20 seconds and basically said, be sensible and don't fall out, we climbed in and off we went. Apart from the intense heat and biblical sound of the gas burners, it was beautifully quiet and peaceful. There was only a slight wind, and we were travelling at about 4mph - gentle walking speed. I was really surprised at how slow the balloon was to react. With around 12 people in total on board, the captain said with this weight, it takes around 30 seconds for the balloon to react. We climbed to a maximum altitude of around 1000m, and apart from the odd road and tiny settlements, we really were floating around above a Martian landscape. An experience neither of us will ever forget. The balloon ride ended a truly incredible day in Wadi Rum. 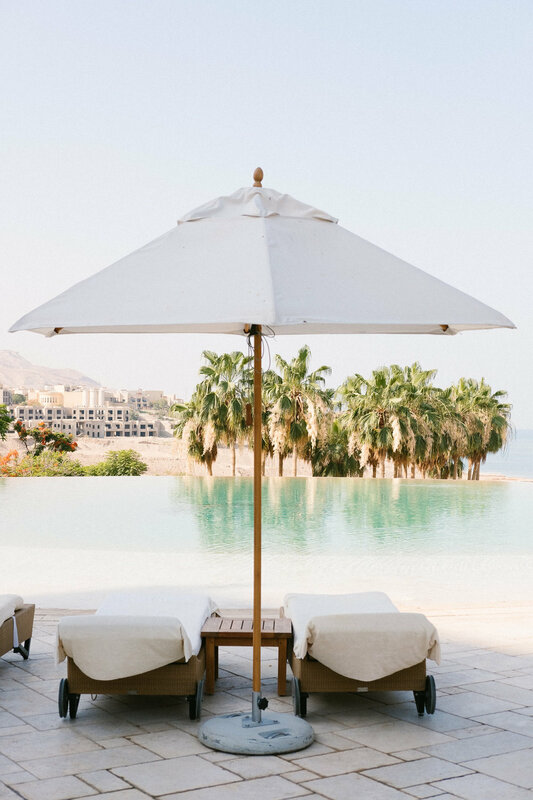 Now we had a four hour drive back up to the Dead Sea, where we were looking forward to spending the rest of the day relaxing by the pool and experiencing the Dead Sea itself for one last time. Thank you Jordan for what has to be one of the most amazing experiences I've ever had. When you get home and you're already thinking about when you can go back, you know it's left one hell of an impression on you. I really can't recommend enough a holiday to this amazing country. 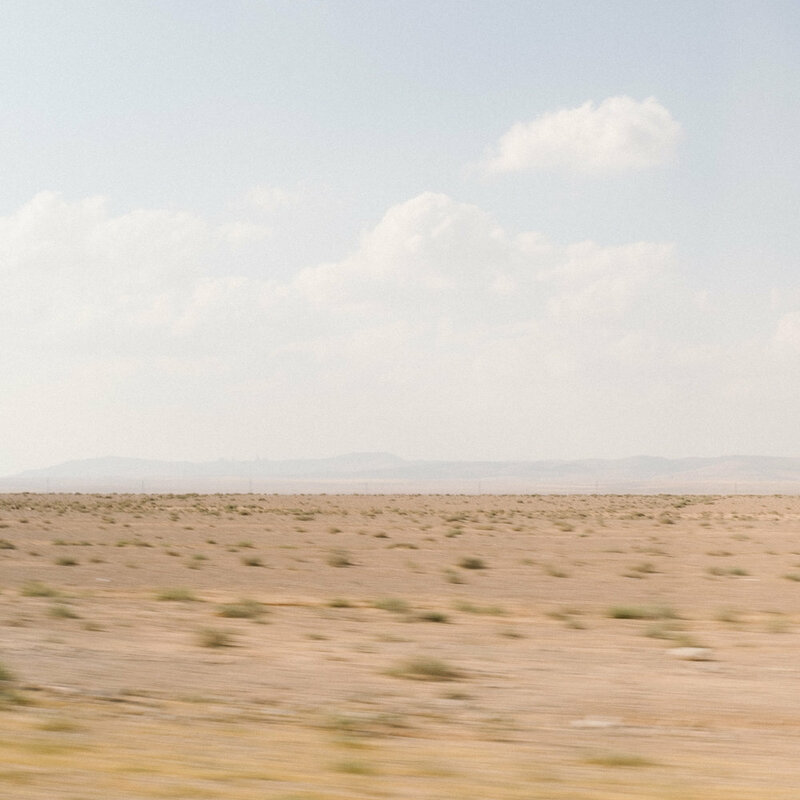 Many people may think of Jordan as a potentially unsafe boring desert in the Middle East, but they couldn't be more wrong. Sure, not everyone's idea of a holiday is spending time in such a hot, desert country, but if you want a place that can offer so many diverse experiences, some that you can't do anywhere else in the world, then please have a look. At the time of writing, the Jordanian Dinar is almost on par with the pound, so we just treated all the local prices as if they were in pounds. Tips - Jordan has a very similar tipping 'policy' to the UK. It's not compulsory, but you are obliged to tip for meals and services. We were told that 10% for meals etc was acceptable. For tour guides, this can vary depending on the duration. In Petra, we had a two hour local guide, and were advised to tip 10-20JD for example. If you plan on visiting the Mujib Nature Reserve, and hiking the canyon, you will get wet.....completely wet! Make sure you have a change of clothes (there are facilities for you to change before/afterwards). I really wouldn't recommend bringing any large camera, even something relatively small like the X-T2. You can hire waterproof shoulder bags to carry things, but I'm glad I took the advice of the guides there and left the camera behind. A phone is the best way to capture everything for me, as it's small and light, and won't hinder you walking/swimming the trail. Petra - the best advice I can give about visiting Petra is that you definitely need more than one day. You cannot do the place justice in one alone. Two days would be about perfect for me, that way you can experience the Petra by Night show in the evening of the first day. We could have happily stayed another day, but as we tried to keep the whole trip to a week, we had to move on to our next stop. The Movenpick is regarded as the 'best' hotel in the area, being literally across the road from the visitor centre/entrance to Petra. It is quite an old hotel, and it's certainly showing its age, but it has a lot of character and you really pay for the convenience of its location. In the most touristy areas, you will certainly be 'pressured' into buying things. Petra, for example, was full of stalls full of clothing and souvenirs. A polite but firm 'no thank you' normally does the trick. The same goes for the people offering donkey or camel rides. We found they were a little more tricky to get away from, but you never feel intimidated at all. On the topic of these rides, please just walk! We were relieved to see that all the animals looked to be in good health, and there is even a horse/donkey sanctuary at the entrance to Petra where they are all looked after. Still.....I had to feel for these poor animals lugging lazy tourists up the steep and often very difficult paths. It is SO much more rewarding to walk the trails yourself. There are plenty of places to buy water, so don't be put off by the need for a lot of walking in the heat. Wadi Rum - at first I was a little unsure about adding this on to our trip, as it's quite a trek from Petra, and the Dead Sea especially. After experiencing it, I can safely say that this was probably the highlight of the trip for me. We stayed at the Sun City camp, in one of the 'Martian' tents. I'm sure this cost quite a bit more than the standard tents, but you have to do it. Having a panoramic view of the desert from your bed was an experience I'll never forget, and the views at night are just as spectacular as the sky is so dark. The sunset 4x4 tour is a must also, it's a great way to see the landscape, and watch the sunset. We visited during the month of Ramadan. Normally I would rarely travel to the Middle East during this time, as working hours are very restricted. The locals fast from around 04:00am until sunset at around 19:30pm. I'm sure many more local restaurants etc would have been open if we were travelling out of this period, but we didn't really notice anything that affected us directly. 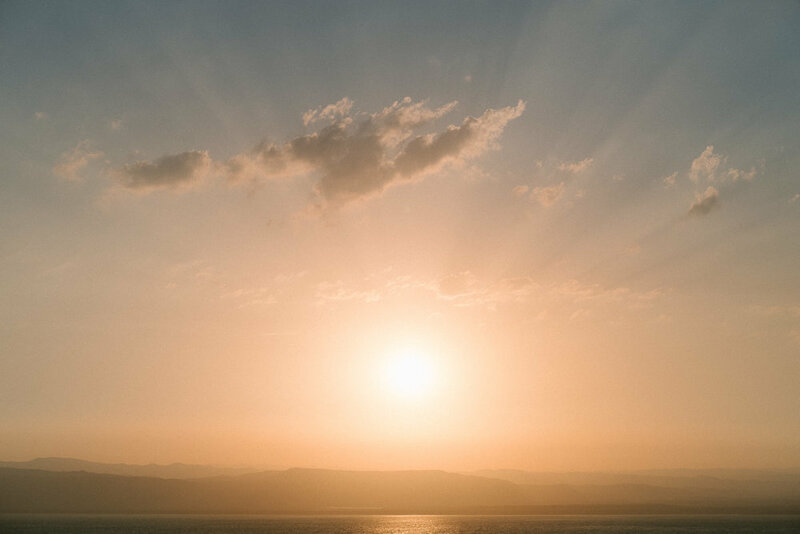 You are advised to be respectful and try to avoid eating and drinking in public, but in the main tourist areas such as Petra and the Dead Sea resorts, this isn't really applicable. Drinks and food are widely available, and it's acceptable for visitors to use these facilities.